Life is indeed very beautiful and it certainly offers us various joys, one of which is the ability to explore amazing places and cultures. There is no doubt that traveling to different countries can be a lot of fun. Manchester, England, is one city which has risen like a phoenix as one of the most sought-after cities for tourists looking to travel abroad. The city is known to have something for everyone, so if you have plans to visit the city with your family, alone, or with your loved one, Manchester will not disappoint you. So, without any ado, let me share some of the best things you can do in Manchester. This is a great thing you can do if you are visiting with your kids (aged 13-18). This unique refrigerated unit, held at -12 degrees centigrade, is a small facility that can be booked out on an hourly basis. Moreover, there are only three individuals allowed at a time. Rented equipment included C3 Crampons, B3 Boots, climbing axes (important), warm trousers, a warm jacket, and a waterproof coat. My son really had a great time and make sure you don’t miss this experience. The best thing about this place is that anybody can visit this museum. I was fascinated by the hands-on exhibitions, a massive collection of vintage vehicles, and witnessing historic working machinery – it was an experience of a lifetime. There are permanent exhibitions as well, giving you an enthralling insight to the inception of the Industrial Revolution in Manchester and how it played a pivotal role in transforming the cities of Britain. This award-winning gallery has lots to offer for tourists and locals alike, including the new Clore Art Studio and a café serving food for the kids. So, whether you have a lot of time or just an hour, this place is worth a visit. The gallery is spread over three floors with 21 rooms filled with some of the best artwork in England. While you are leisurely strolling, you get to explore some of the captivating work by some legendary artists – from the beautiful colors of the pre-Raphaelites to the exotic art of Turner. The striking craft and design collection you get to see in a restored Victorian theatre will surely take your breath away. This place has also become a great setting for some of the influential weddings and civil ceremonies of the area. Enjoy your 75-minute guided excursion at Manchester United Museum. You will love the state-of-the-art interactive experience and historical exhibits of the museum. A visit to the dressing room will give you an inside look at the players’ daily lives, and you will surely enjoy your walk through the tunnel leading to the grounds. Get to know more about the club, their team members, and achievements through a dedicated guide. There are different tour options you can choose from, each one having its own charisma and offerings. 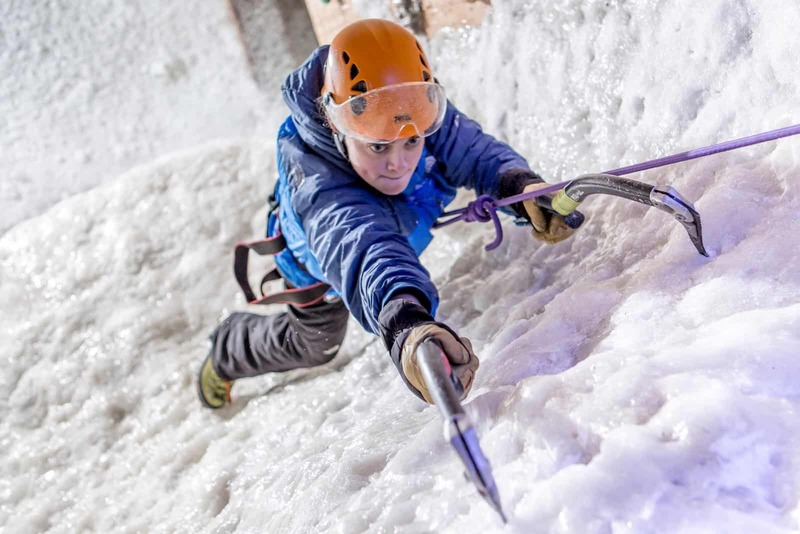 If you are accompanied by your kids, then make sure you take them to Rock Over Climbing (suitable for all ages). This is certainly a great place where your kids can test their climbing skills. The Adventure Climbing Zone will have your kids clipped and ready to go, as they are provided instructions on every step of the way. Trust me, this is one place that lets your kids climb out of their comfort zone. Spread across 4 floors, Manchester Museum has different displays and exhibitions in 15 galleries, featuring collections from different parts of the world. Started off as a natural history museum in 1821, the modern-day museum has grown up to play host to some fascinating exhibits. Both you and your kids will enjoy the Tyrannosaurus Rex named Stan and rare collections from South America. Besides exploring permanent exhibits, you also have the opportunity to be a part of special exhibitions that take place throughout the year. There is a shop at the museum giving you a chance to purchase some fascinating gifts. With a wide variety of sustainable gifts, it will surely appeal to all ages and tastes. The different products available at the shop include fossils, rocks, and minerals. If you are feeling hungry, you can indulge in home-baked cakes, breakfast, salads, and sandwiches at The Café. In addition to temporary exhibitions, you can also explore permanent galleries offering you a chance to explore birds, minerals, rocks, insects, old currency, archery, insects, and fossils. Attracting some of the finest acting and writing talent, Royal Exchange Theatre is also a must-visit for those looking for culture while traveling abroad. One of the striking things about this theatre is its interior design (seven-sided, glass-walled capsule) which resembles a lunar spacecraft. The theatre has three levels and there is a seating provision for 700 people, and 400 seats are raked at the ground level as well. Besides hosting plays, programs, and special events, the theatre also has a Craft Shop and a Craft Shop Gallery. The theatre can also offer a unique setting for a civil wedding and civil partnership. The front room is capable of accommodating 75 people with the splendid views of St Anne’s Square and the Great Hall.